Spectral RS uses a proprietary nanosome technology as the delivery vehicle of active compounds directly into target cells. Spectral RS works by improving the nutrition, circulation, and metabolism of the hair follicle and preventing perifollicular fibrosis. 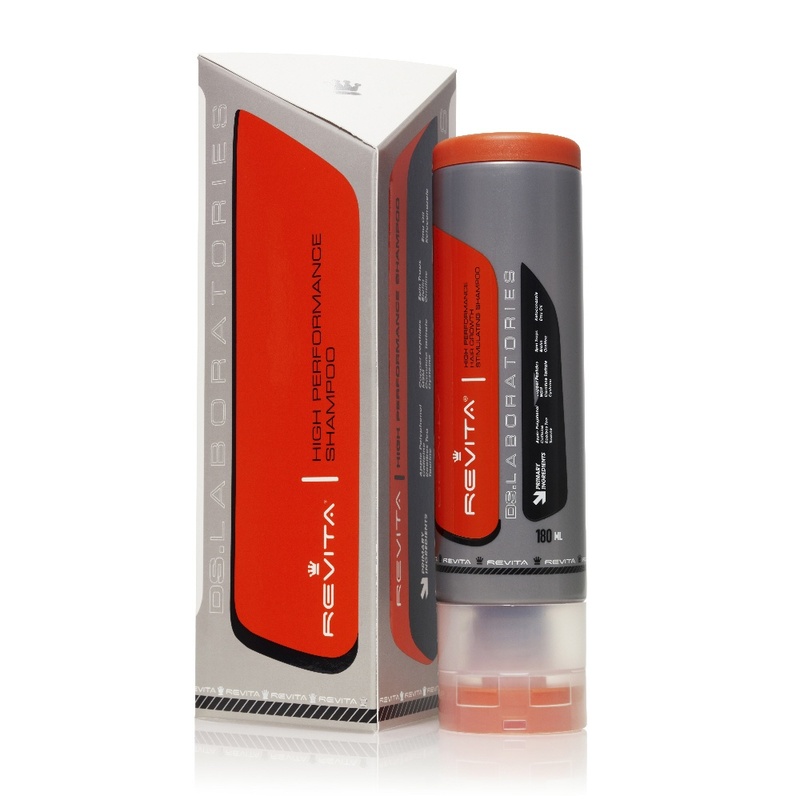 Spectral RS is an ideal treatment for men and women with generalized thinning hair. Spectral RS is also an ideal treatment for individuals looking for a highly effective treatment that does not contain minoxidil. Spectral RS does not contain any harsh chemicals, is pleasant to apply, and improves the over-all condition of the scalp. Spectral RS can be safely combined with treatments for androgenic alopecia. Male pattern baldness and generalized thinning hair are two conditions that are closely related. Spectral RS can deliver astonishing results when combined with your androgenic alopecia treatment. When used alone, Spectral RS is not meant for androgenic alopecia (genetic male pattern baldness). Spectral RS uses the most advanced technology for the transportation of substances that is only available from DS Laboratories. Nanosomes are the next generation of liposome technology with significantly improved absorption and stability. Liposomes were discovered in England in 1961 by Alec D. Bangham and immediately became an important delivery system due to the fact that liposomes can transport both water-soluble and oil-soluble medications. Liposomes are microscopic vesicles identical to human cell membranes whose function is to deliver vitamins, drugs, and cosmetic materials directly into target cells. Because the liposome wall is physiologically similar the human cell membranes, it is easily able to transfer and deliver active ingredients to any application site on the body. 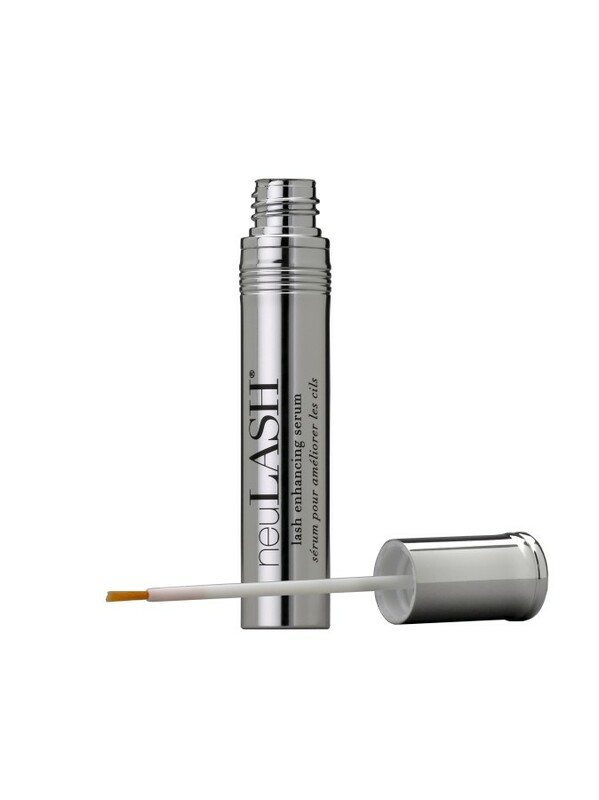 When a cosmetic containing liposomes is applied to the skin, the liposomes begin to merge with the skin's cellular membranes, releasing their payload of active materials into the skin's cells. Despite the amazing potential of this technology, liposomes used in today's formulations are highly unstable at room temperature, crush up easily, and can only exist in a very narrow range of pH limiting their practicality in real applications. Most cosmetics and other formulations actually contain a very small amount of active particles by the time they are purchased. Nanosomes manufactured by DS Laboratories are the first organic sphere that fully delivers on the promise of encapsulation technology. This amazing breakthrough assures that individuals using Spectral RS get the best possible results in the treatment of thinning hair. By far, the most important reason for the incredible performance of Spectral RS is the implementation of Nanosome microspheres as the carrier agent of active ingredients. The process of creating Nanosome structures requires the use of ultra-sonic radiation and other sophisticated techniques that are proprietary to DS Laboratories. These cell like structures could be readily viewed under a microscope with just a tiny sample of liquid. Particularly impressive is that these structures, unlike liposomes, remain intact even when exposed to temperatures over 30 degrees Celsius and pH as low as 3 (organic acid only) and as high as 14. Nanosomes act as a delivery system and its layers are physiologically similar to the material of cell membranes. In theory, when a cosmetic containing liposomes is applied to the skin, they begin to merge with the cellular membranes and then release their payload of active materials into the cells. The result, is that the delivery of ingredients can be targeted for the intended cells and the release takes place over an extended period of time. 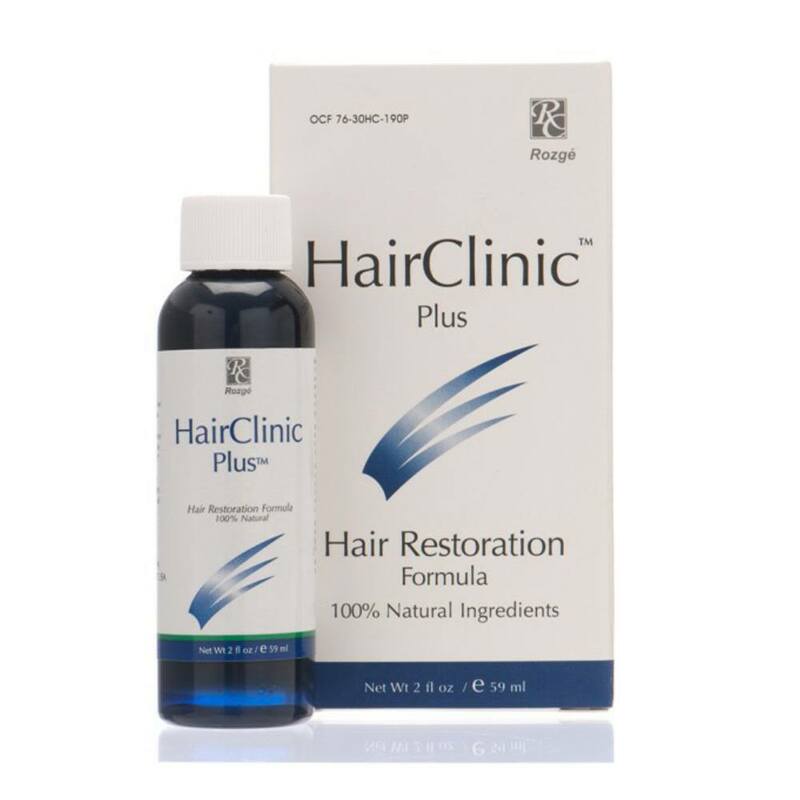 One major advantage is that active ingredients continue acting at the target site of treatment where hair loss occurs over the course of many hours. However, these positive effects depend on the composition, size, vesicular structure, and the presence of appropriate lipids. Nanosome manufactured by DS Laboratories is the only microsphere that delivers on the full promise of encapsulation technology. Preventing the conversion of testosterone into DHT including the binding of DHT to hair-follicle receptors. Removing excess sebum that accumulates around hair follicles, which improves the quality of the blood supply. "Shocking" the hair follicle into a growth phase. Improving the over-all condition and health of the scalp. Preventing and reversing perifollicular fibrosis. Research has shown that regardless of the cause of alopecia, all types of hair-loss are always accompanied by perifollicular fibrosis. Perifollicular fibrosis is a condition that causes the collagen around the hair root to become rigid. 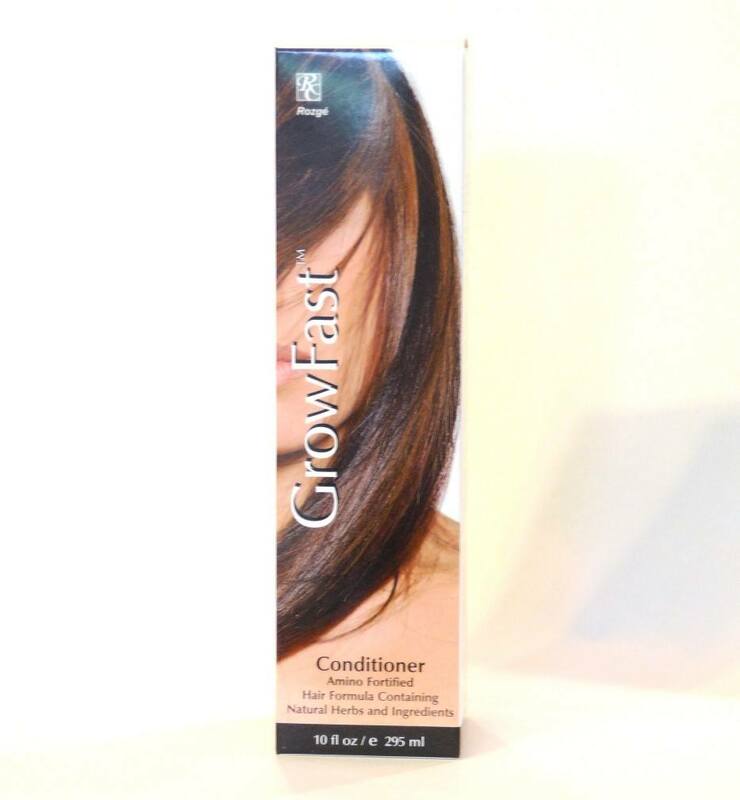 Afterward, the collagen tightens and then pushes the root to the surface of the scalp causing premature hair-loss. Research at DS Laboratories has also shown the importance of controlled absorption to properly address the above factors. The primary goal of the treatment is to have precise delivery of the ingredients into follicular cells. By keeping and maintaining the active ingredients at the target site of treatment continuously allows effectiveness that is not possible from other topical treatments. 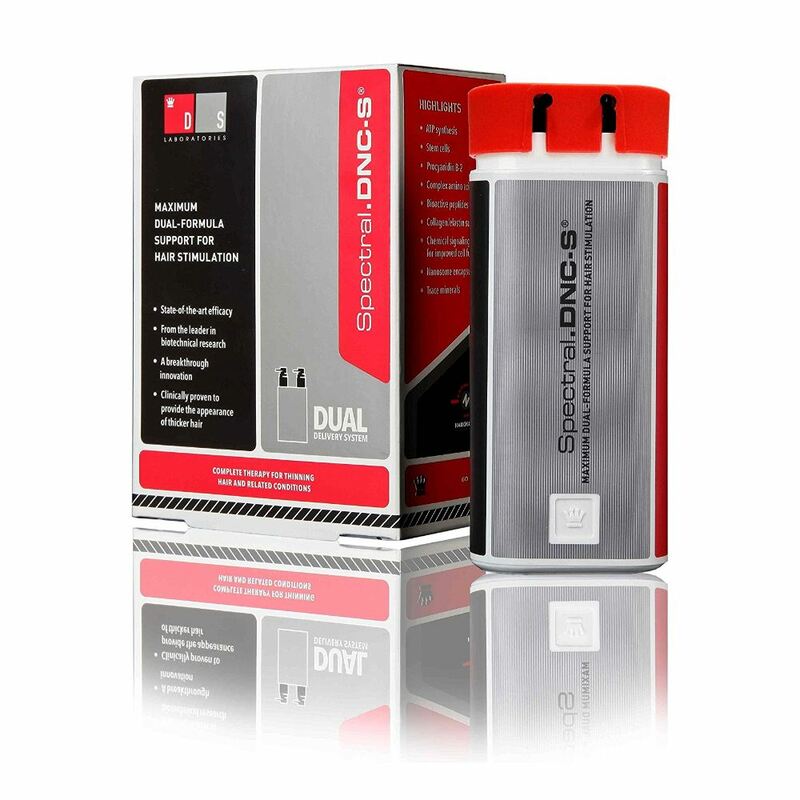 This is made possible with the use of DS Laboratories' proprietary nanosome encapsulation technology that allows them to precisely control the absorption of ingredients to the desired depth and time their release. In addition, fanatical attention goes into ingredient selection and purity to preserve the biological properties of each compound. 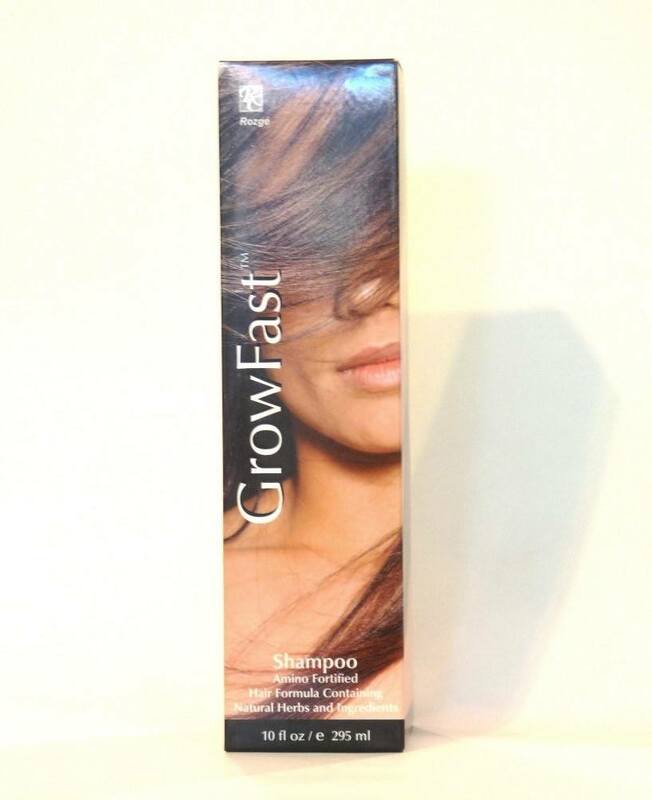 Apply 10 or more sprays in area of thinning hair twice per day. Spectral.RS should be applied on a consistent schedule whether hair has been washed or not. 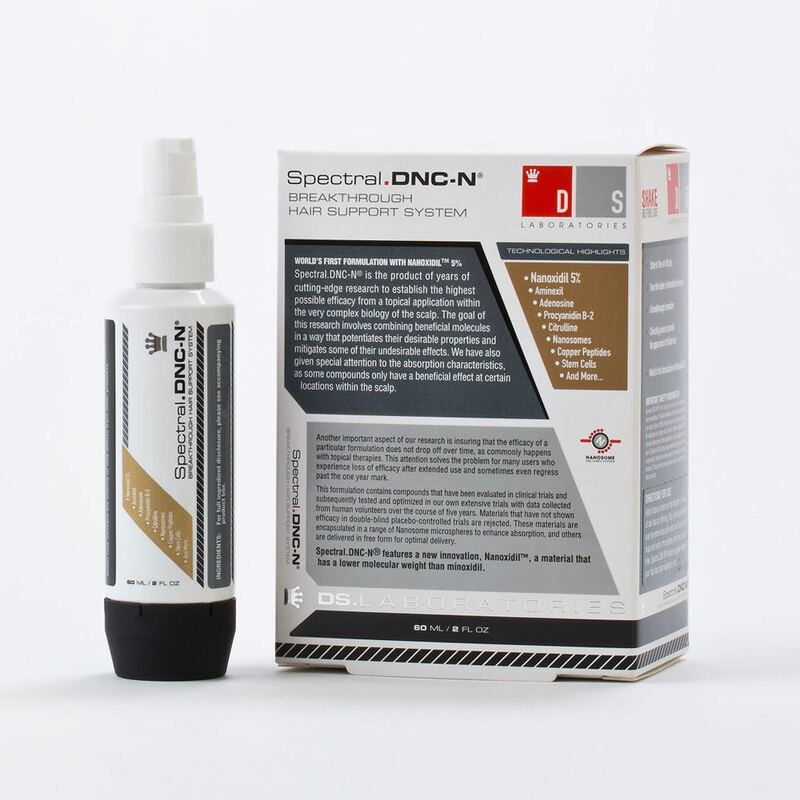 Spectral.RS can be used in combination with topical treatments containing minoxidil. With twice per day use, a bottle of Spectral.RS will last approximately 30 days. You should be able to take control of your hair loss in about 2 weeks and start seeing thicker, fuller hair, with less scalp visibility within 2 - 3 months of use. 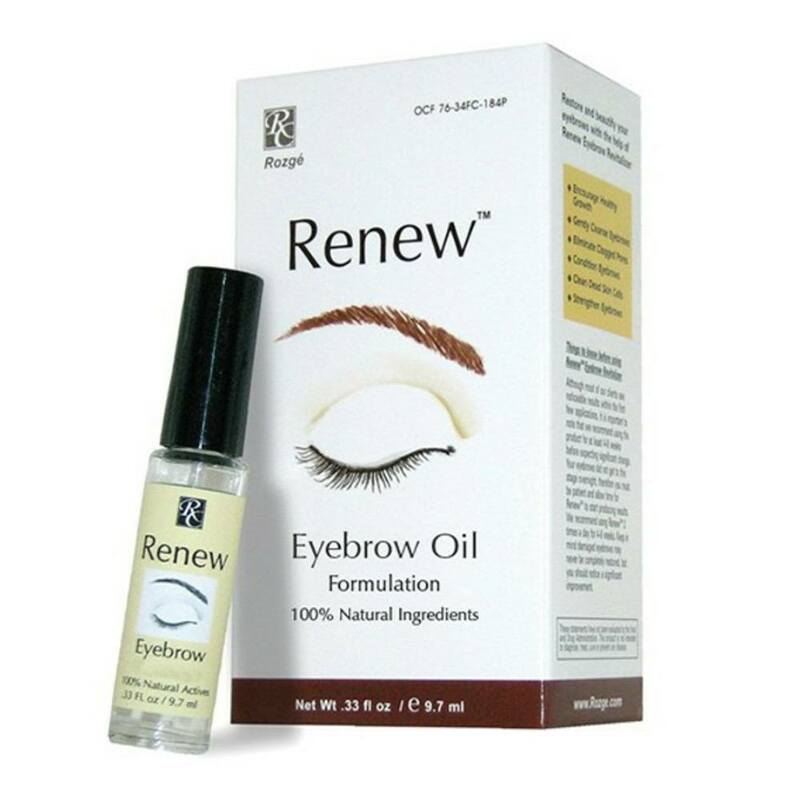 It can take up to 6 months of use to see re-growth if you have an advanced stage of hair loss. Spectral RS is not designed for use on male frontal baldness. You can expect significant results from your Spectral RS treatment. A majority of users see an increase in the diameter of the hair strands and a higher density of hair. Spectral.RS was also significantly more effective then a placebo in double-blind clinical studies. Spectral.RS is an exceptionally safe treatment as it does not contain any chemical compounds that can induce an adverse reaction. However, due to the use of nanosomes as a carrier agent users should exercise caution when combining Spectral RS with minoxidil or other topical hair loss treatments. Since nanosomes greatly enhance absorption, they will also amplify absorption of other substances increasing the chance of side effects. If you experience rapid heartbeat, dizziness, shortness of breath, or other adverse effects then you should never combine Spectral RS with other topical treatment.